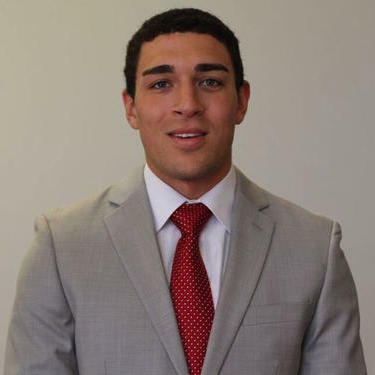 Estevan has years of experience in policy creation and implementation within higher education institutions, specifically with athletic departments and collegiate sports teams. Much of his daily work involves reducing risk of exposure to penalties under several governing bodies' rules and regulations. Estevan has advised and negotiated several employment contracts, focusing on bonus structures, termination clauses, and non-compete agreements. He began his professional career in the workers' compensation industry, where he assisted the fraud investigations unit for the State of Ohio. Afterwards, he spent time at a law firm in central Ohio… read more advising on many claims. Estevan Molina does not have any reviews yet. Oversaw several aspects of NCAA and institutional policies for the athletic department. Advised on coaches' employment contracts. Created and established written policies for all athletes. Negotiated new software agreement for the entire athletic department. Drafted several Ivy League legislative proposals for the 2017-18 academic year. Oversaw several aspects of NCAA and institutional policies for the athletic department. Advised on coaches' employment contracts. Created and established written policies for all athletes. Advised on policies for facilities risks and camps involving minor children. Drafted memos for Ohio workers' compensation appeals. Reviewed orders from the Ohio BWC and Industrial Commission for correct actions taken by the firm. Interview clients for new claims or motions on current claims. Gather medical evidence from doctors for claims.